Im Q. Im 21 years old with a passion for film, politics, and all things nerdy. I was elected at the Colorado Democratic Convention to go to Philadelphia as a member of the Bernie Sanders Delegation. However, I dont have the funds to get there on my own, which is why I need your help! I am a passionate Bernie Sanders supporter, and I will fight for him at the National Convention. 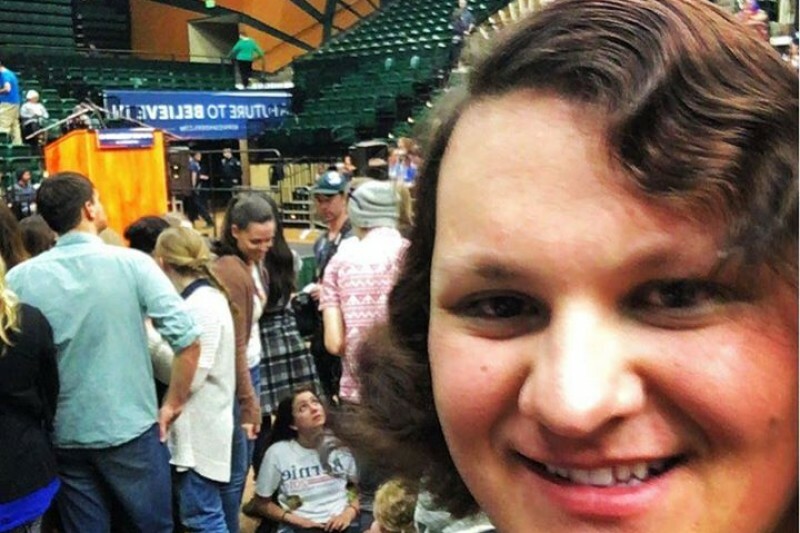 In addition, as a member of the LGBTQ+ community, I intend to fight for more inclusiveness for trans and no binary people within the Democratic Party and beyond. The Colorado Democratic Party put the total cost for each of us at $3700-$6250. The hotels in Philly have raised there prices during the convention astronomically, And the same goes for airfare. The rooms for the Colorado Delegation are $500 a night before taxes and fees. Luckily, I am splitting the room with 3 other members of the delegation which will aide significantly with this exorbitant cost. The DNC has come to a close. I just want to thank all of you who helped me get there! It was quite a week, physically and emotionally stressful, and I hope I did you all proud. Thank you so much! Wow! I have gotten quite a few donations in the past couple of days! You all are amazing! Thank you to everyone who has shared and donated to my campaign so far! Let's keep this up and we will take Philly by storm! Thank you so much to those of you who have donated so far! It is a YUUUGE help! I received an amazing donation of airline miles as well that is an amazing help and now I have my flight! Because of this and a few other donations outside of GoFundMe, I've lowered my goal from $3700 to $2700. That is 100 contributions of $27. Bernie got 7.6 million at that rate from 2.4 million donors, so I know we can do this! Go do for me what I can't go do myself!!! Good luck friend!!! To the DNC!!!!!!!!!! !